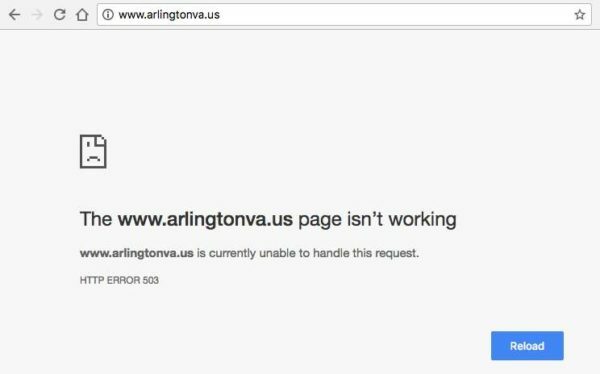 (Updated at 3:10 p.m.) A widespread Amazon Web Services outage brought down the Arlington County website around 1 p.m. Tuesday. As of 1:30 p.m. the site appeared to be partially back up, although images are not currently loading and some pages are still down. A number of large websites and services are reported to be down or experiencing significant issues due to an outage of AWS’s web storage servers in the eastern United States. The outage was still ongoing as of 3 p.m.
Arlington County tweeted about the outage about half an hour after it started.